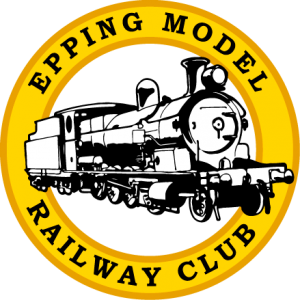 Welcome to the Epping Model Railway Club and its activities. We are an established club for veteran and aspiring model railway enthusiasts in the Sydney area and actively promote the model railway hobby with several events and activities throughout the calendar year. We hold regular member club nights most Friday nights from 7:30pm at our venue at Dence Park, Epping. Further information is available on our Facebook page. All modellers are welcome to come along to Club activities as Visitors – just contact us for the details of the next activity. Club modelling activities are normally on a Friday evening commencing at 7.30pm at the Epping Creative Centre at Dence Park, 26 Stanley Road, Epping, 2121 NSW. The Club organises the Epping Model Railway Exhibition on the June Queen’s Birthday long weekend each year. The Club also organises the Model Railway Market Day at Dence Park, Epping on the last Saturday in November. The club organises Model Railway Open Days on the second Saturday on January, July and November. If you are interested in model railways and want to be part of an active group contact us and come along to one of our activities.